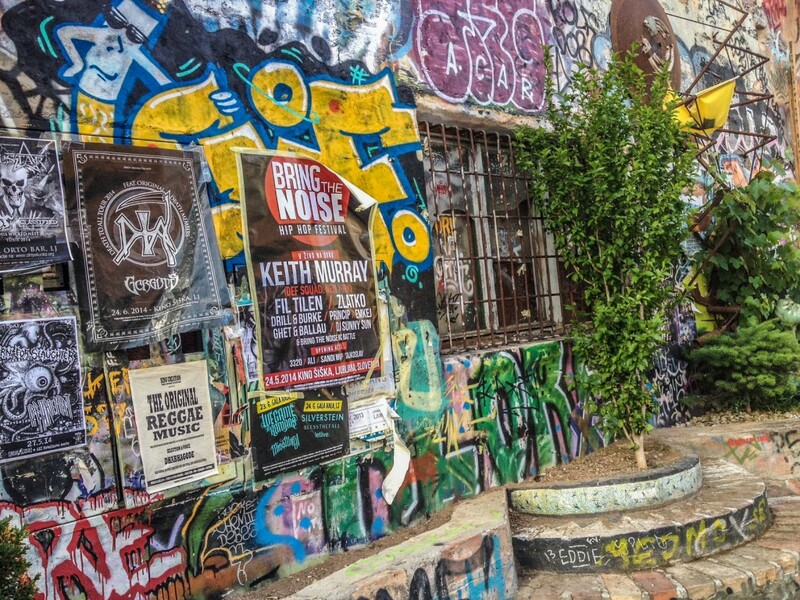 What do you get when you take away societal norms and merge like-minded individuals with art, music and an entire underground scene that can go entirely unnoticed to people should they not walk down Metelkova 3 Street in Ljubljana, the capital of the tiny Central European country of Slovenia? Located a quick walk from the center of Ljubljana, it has created one of the hottest underground scenes in all of Europe and today is a place where youth mingle, bands perform, beers are swilled at funky bars, NGOs work and art abounds. Of course, this vibrant enclave wasn’t always the heart of the action. 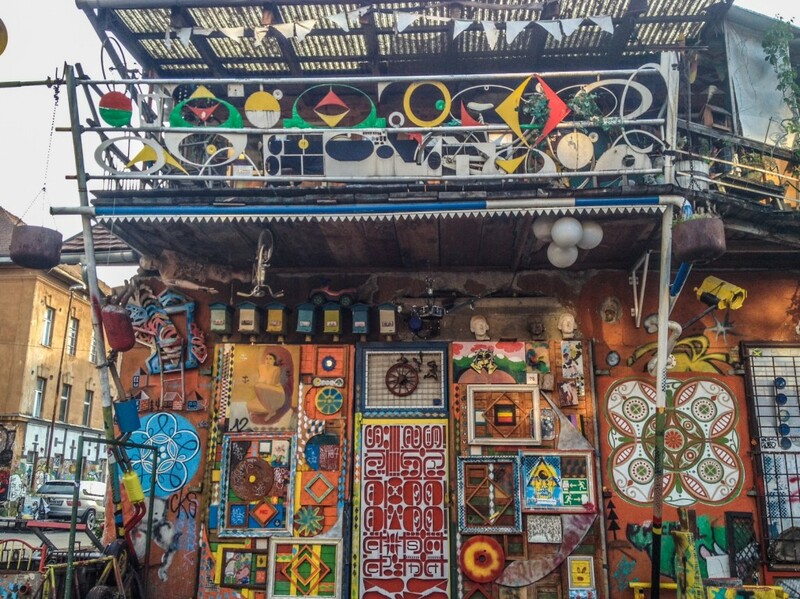 Like Hostel Celica, Metelkova was once a part of military barracks that began to waste away. It wasn’t until the Network for Metelkova was created in 1990, formed by more than 200 organizations as a part of the Movement for the Culture of Peace and Non-Violence and the ŠKUC Association, one of the country’s top organizations for the promotion of non-profit artistic activities that this cultural center and massive underground scene began to take shape. In 1991, the Network for Metelkova formally petitioned the Slovene government to take over the site, and while some promises were whispered regarding the area being handed over, nothing really changed. Two years later, over the course of Sept. 10 and 11, 1993, around 200 people gathered to prevent the destruction of the area and moved in to the neighborhood. 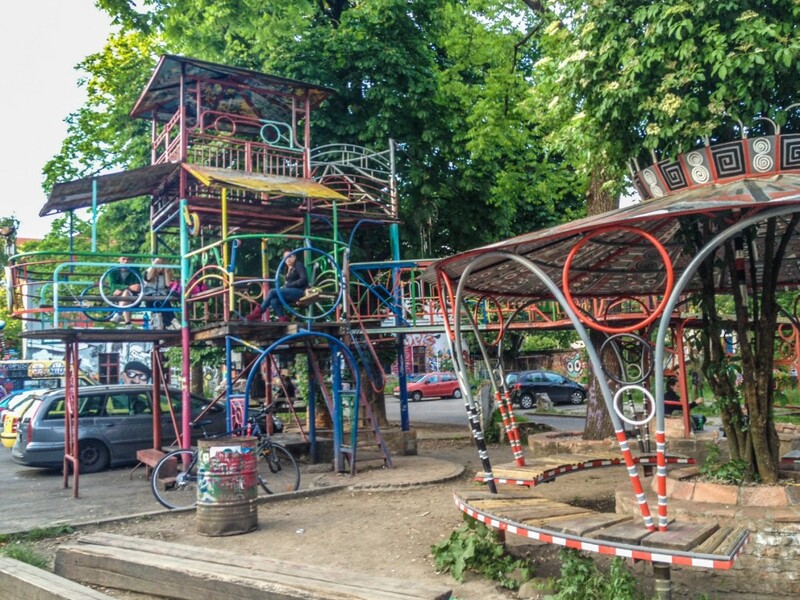 Since 1995, Metelkova has been a self-ogranized autonomous zone where the squatters work together, decide together and live in this little neighborhood … together. 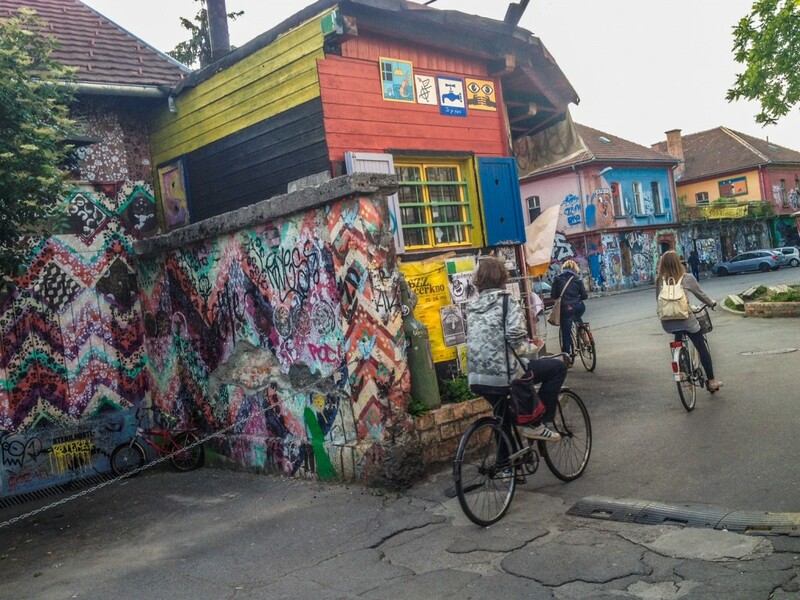 By day, Metelkova is a relatively quiet scene with explorers on bikes pedaling through the small area or late-teens and 20-somethings sitting around sipping beer on a warm day outside of art studios. When I’m there, it is pretty peaceful and it is easy to get distracted by the vast array of art splayed on nearly every inch of building. 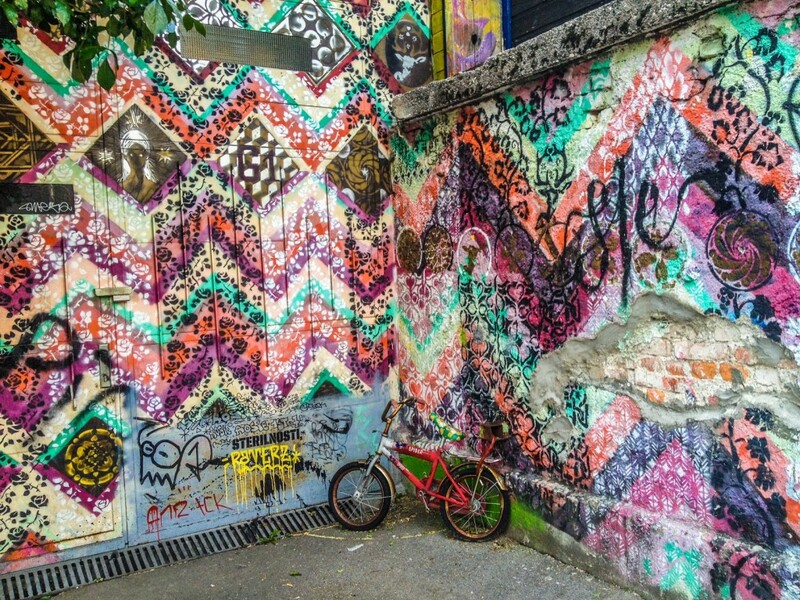 The art in Metelkova rivals that of Berlin, although Berlin’s street art scene is far larger of an area than the tiny autonomous community I explore in Ljubljana. By night, the entire area comes alive with dub-step competing with rock competing with banter of those simply enjoying all the area has to offer. And it has quite a lot to offer. 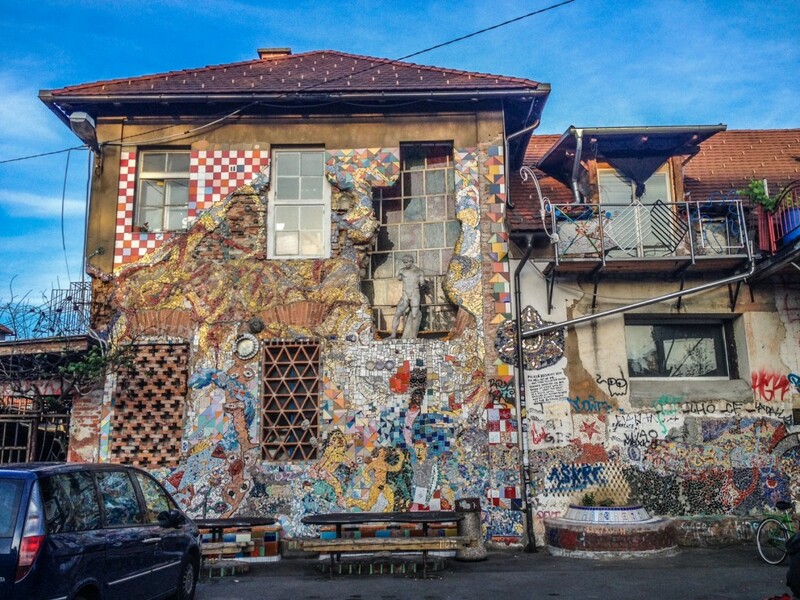 Metelkova is home to heaps of cultural organizations, including KUD Anarhiv, a “social space for the research and development in the theory and practice of anarchistic and related movements,” the KUD Mreža Arts and Culture Association, as well as galleries, a cafe, market, workshops, NGOS and more. This area lives and breathes with vigor and vibrance, and simply walking through I can feel the passion and energy thumping out of every crevice. From the train or bus station, exit and head right, following the signs towards Hostel Celica. 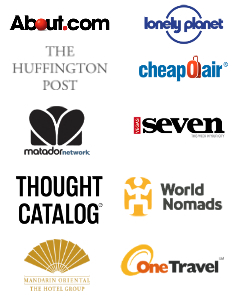 The hostel is within the autonomous zone of Metelkova. To view on Google Maps, click here. Such a colorful post! I wasn’t in Ljubljana long enough to experience all this prettiness… looks like I’ll have to schedule a return visit! You definitely should. I think road trip through Slovenia is in order! I love this place! I visited Ljubjana a few weeks ago and loved Metelkova. It’s so gorgeous during the day and such a great place for a night out! It is so magnificent during the day!! 🙂 Very cool place indeed. What a cool-looking place! It reminds me a bit of some of the architecture in Barcelona (ok maybe just the outside, and not a lot, just a bit). I sure do love me some dub step too. Well, next time we’re hanging out together on the continent, let’s bop on over and listen to some dub step together! Very funky! We love wandering around new cities and discovering art tucked into nooks and crannies, it’s one of our favourite parts of travel. Creativity is everywhere! I LOVE finding gems like this!! You are right — creativity is EVERYWHERE! We enjoyed a wander around this place last year, unfortunately it was the middle of winter so there wasn’t a lot going on but it was still a very cool place to visit. Would love to check it out in the summer. I bet it was entirely different! Definitely head there in the warmer months — it is so ALIVE! I think that is the best way to look at it! Now you have another reason to go back! I am so glad it was kept alive, too! This is the kind of stuff I swoon for when I travel — art, quirk, photo opps! Love love love. Me, too! 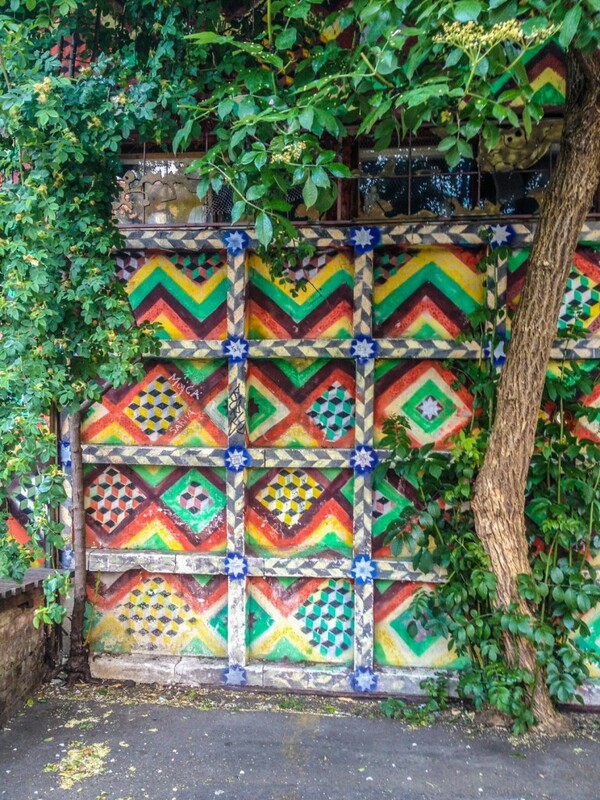 Let’s go find cool street art when you are here in CM! 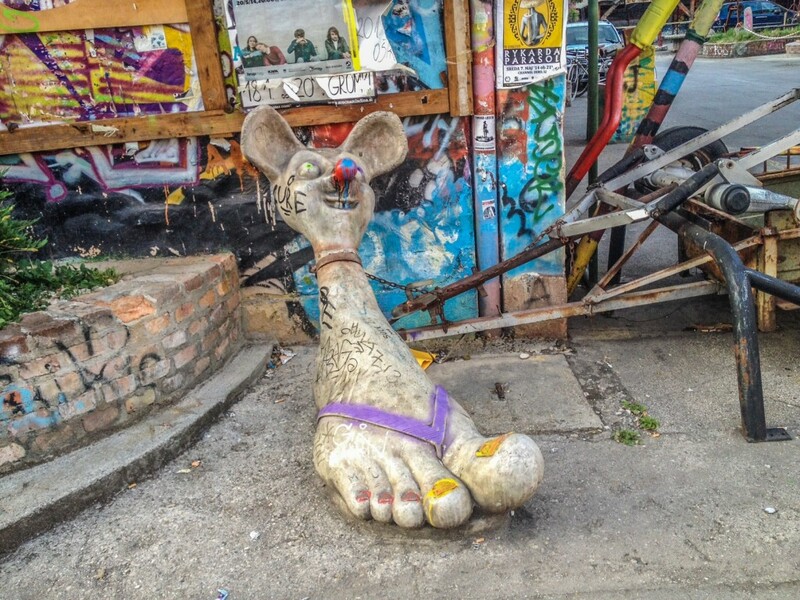 I frequented Ljubjana a couple of several weeks ago and liked Metelkova. It’s so stunning during the day and such a good spot for a evening out! I want to go back so badly!! 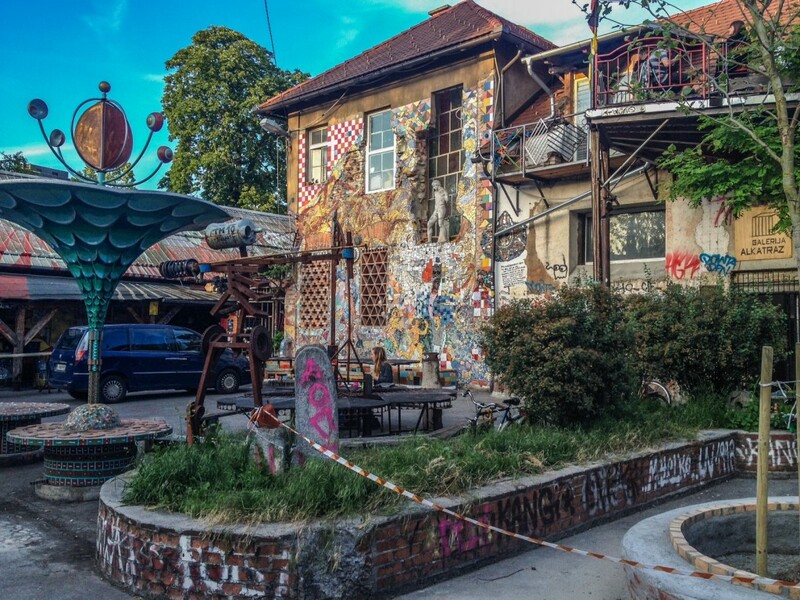 Metelkova is SUCH a cool place, and Celica hostel in particular. 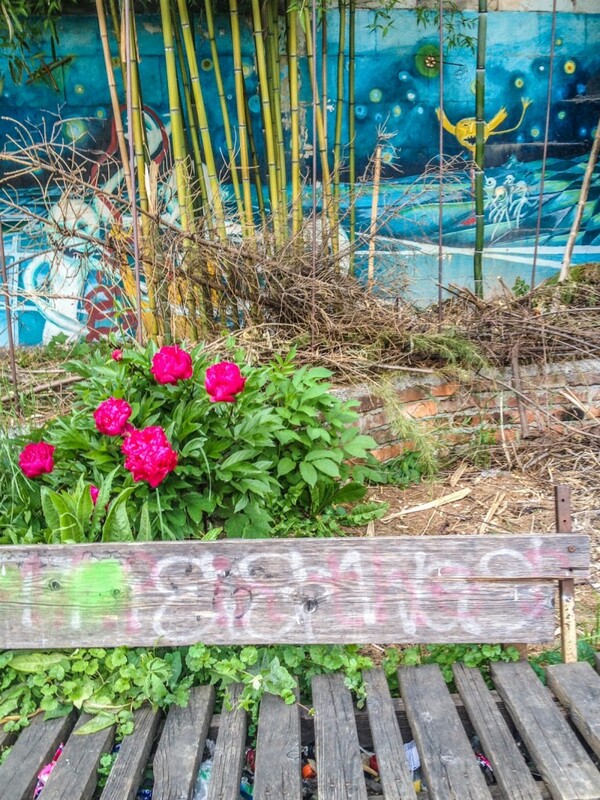 We have a similar area in Copenhagen called Freetown Christiania where the inhabitants have their own culture and set of rules. Lots of weird art and graffiti. Oh, cool!! I have never heard of that town. I will have to check it out when I get to Copenhagen! Thanks for the tip! !